Almo Professional A/V has launched Sound Options, a dedicated audio sourcing and technical engineering group. From mics, speakers, DSPs, mixers, and specialty applications, Sound Options provides the audio-specific sales, technical, and engineering support needed to complete an AV installation. 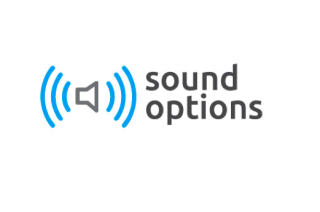 Sound Options is making its debut at the Almo E4 AV Tour in Dallas on April 24. Sound Options audio categories include: amplifiers; assistive listening; conferencing; control; DSP; recording, playback and streaming; microphones; mixers; speakers; simultaneous interpretation; and unified collaboration. Some of the featured brands available through Sound Options include Revolution Acoustics, Tascam, BSS Audio, Kramer, AMX, Atlas, Phoenix, Taiden, DBX, JBL, Crown, Ashly Audio, Beyerdynamic, and Biamp. The Sound Options technical team is led Ziv and Steve Alexander.